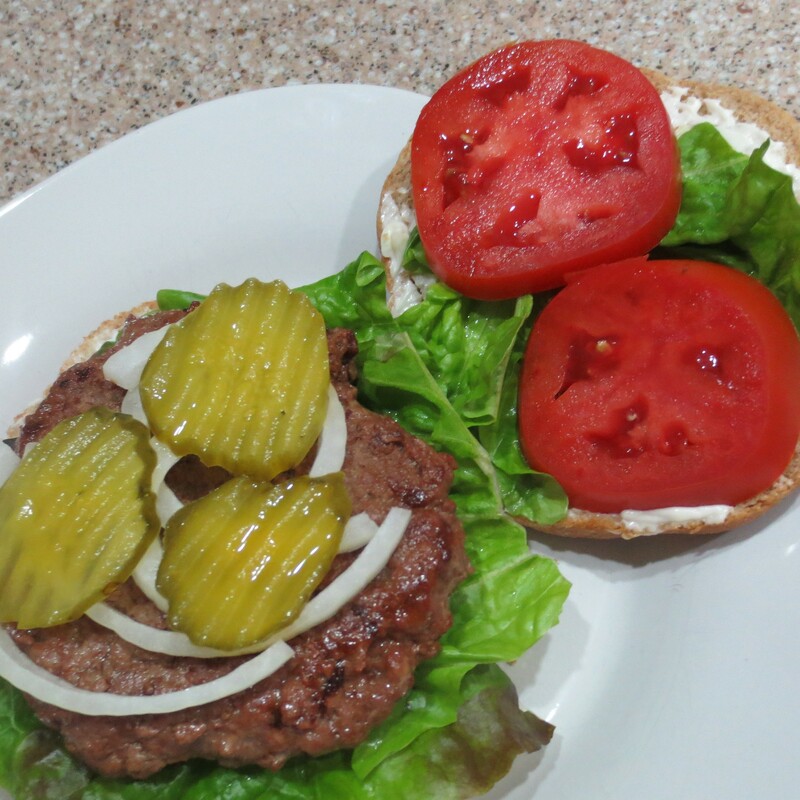 You just can’t beat a good old grilled hamburger! Add your choice of toppings for a delicious summer time treat. While it’s not really necessary, I prefer to grind my own meat. That way I know where it came from. 1. In a small bowl, whisk together the Dale’s, water, and canola oil. 2. In a large bowl combine all ingredients, mixing well. Divide into eight equal portions and form into patties, making a fingertip sized hole in the center of each patty to control shrinkage. 3. Grill over hot coals to desired temperature, turning only once. Do not press the patty with your spatula. You’ll only press out all the juices.